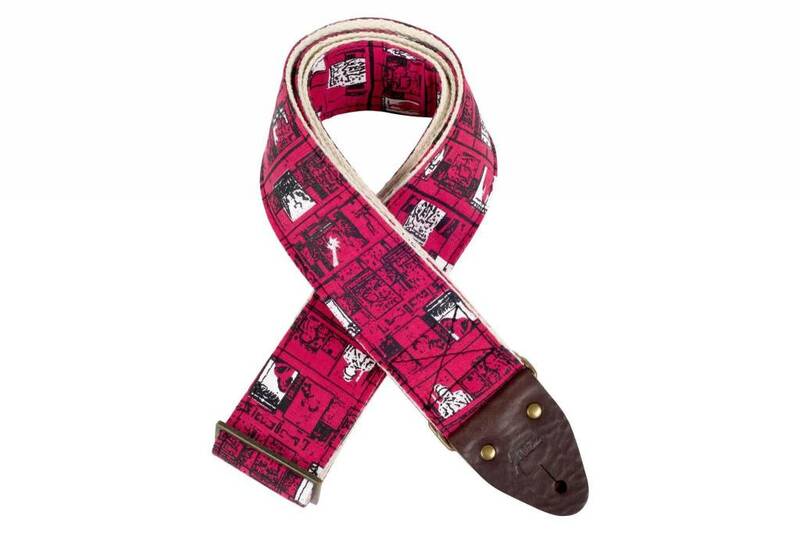 Inspired by Heavy Meta, this strap features artwork from the album and is silkscreened onto high-quality, hot-pink linen. Inspired by Heavy Meta, this strap features artwork from the album and is silkscreened onto high-quality, hot-pink linen. Accompanied by our classic soft-cotton backing, vintage-style hardware and durable leather, the Artist Series Guitar Strap in Ron Gallo is a work of album art. 2" wide / adjusts up to 58" long.